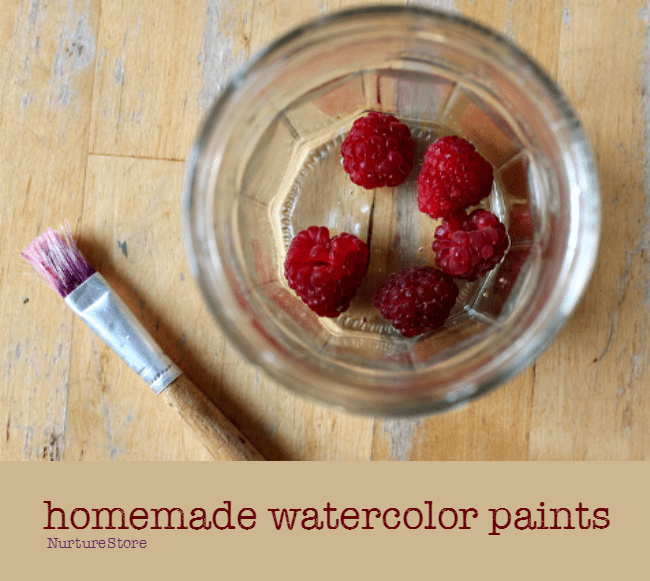 It’s very easy and inexpensive to make your own watercolor paints. 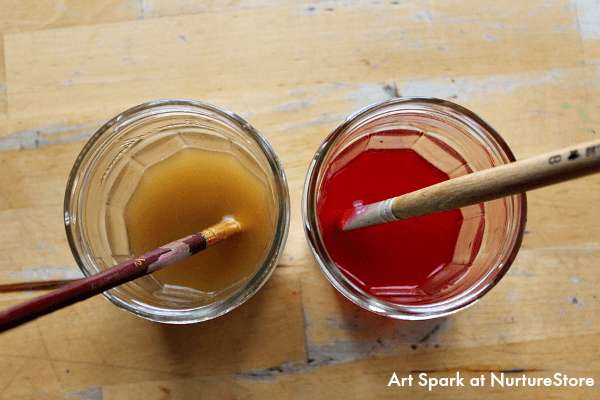 Here’s a ‘how to’ taken from my new book Art Spark with several ideas for homemade watercolor paint recipes and links to famous art example that use paint made from natural ingredients. 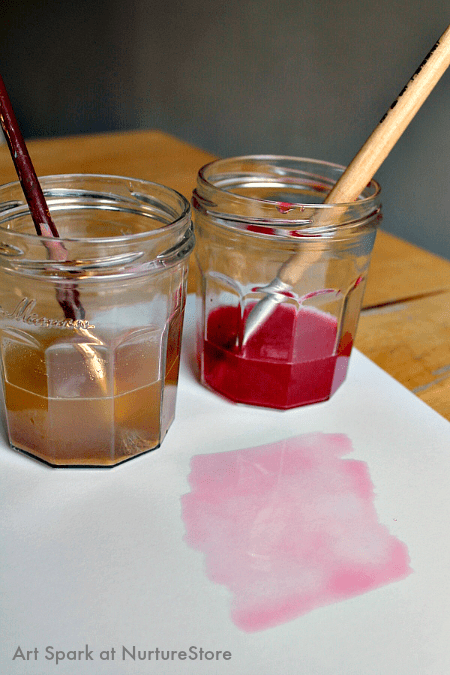 Making your own watercolor paints is a very affordable way to create your own art supplies. It also involves children in a creative, scientific process where they can experiment with different materials to provide a variety of unique colors. Making your own paint in this way has strong links to the earliest know art works, such as the cave paintings in Lescaux. 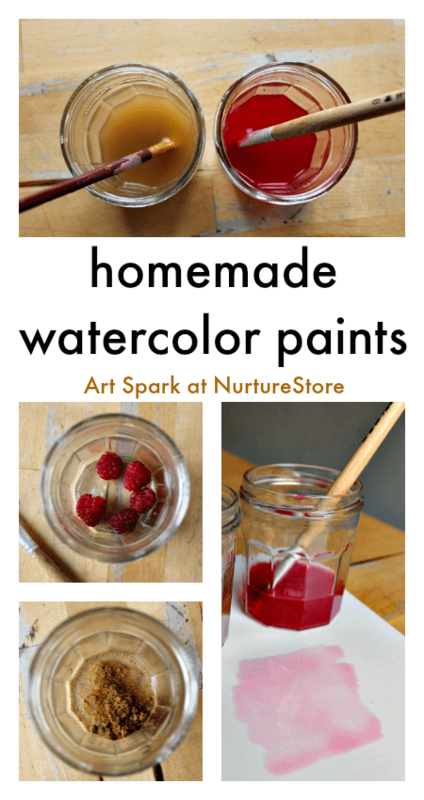 To make your own paints, you will need to start with some cups of water, and then experiment with what you can add to create a range of colors to paint with. 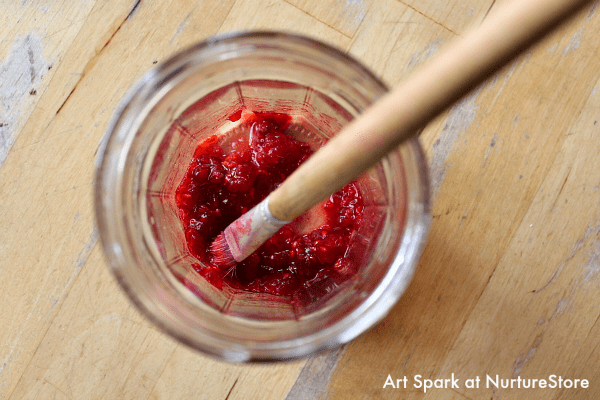 To gather the materials for your homemade paint, you can go on a nature trail around the garden, or forage in the wild, to collect soil, leaves, flowers, and berries to use. Only pick items that you recognize and know are safe to use. You might try carnations, calendula/marigold, or cornflower petals. You can gather soil from different areas, or scrape rocks to gather powder to mix into your water. Try mashing up berries such as raspberries, strawberries, elderberries or blackberries. 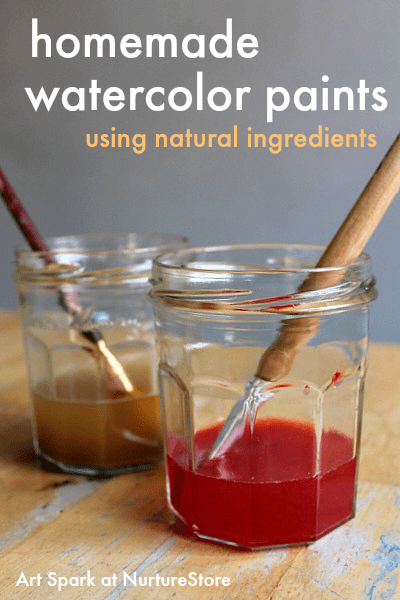 Mix them with water to extract their dye, and then strain the colored water into a paint pot before using. 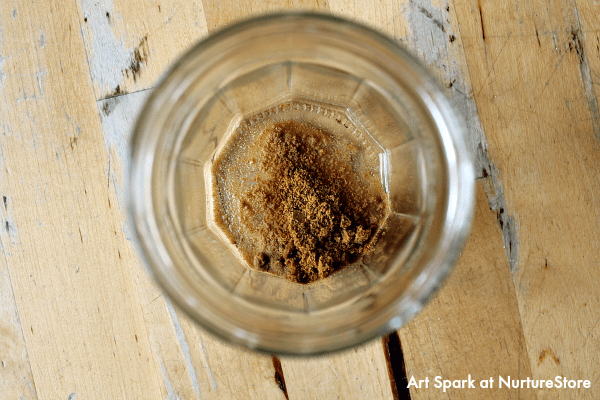 Alternatively you could raid the kitchen cupboard to gather spices to try, such a turmeric, ginger, or cinnamon. Dissolve them in a pot of water to create earthy colors. Child can experiment with many different ingredients, varying the ratio of water to color ingredient to create stronger or weaker colors. :: and investigate whether the scent of the ingredient is transferred to the paper when you paint. 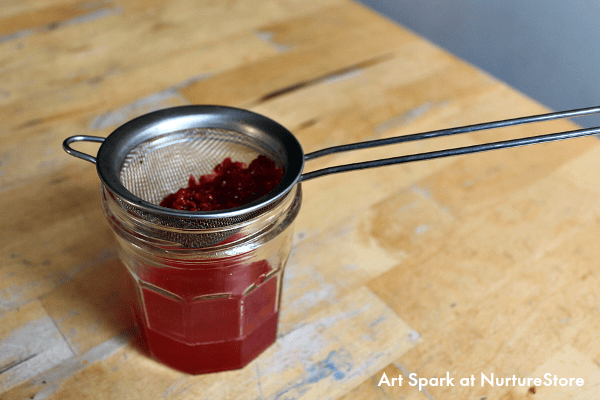 You’ll find many of the Art Spark projects have links across the curriculum, particularly to science and math. People have been using homemade paints to create art for thousands of years. The earliest known art works include cave paintings which were made using materials that the artists found in their local environment. Take a look at the cave paintings of Lescaux in France, the Altamira cave paintings in Spain, or the Ubirr rock paintings in Australia to see how some of these early artists created using homemade paints and materials. Many of the art projects in the Art Spark resource have links to famous art that use techniques and styles similar to the ones your children will explore, allowing them to learn about world art and dive deeper into their art exploration. 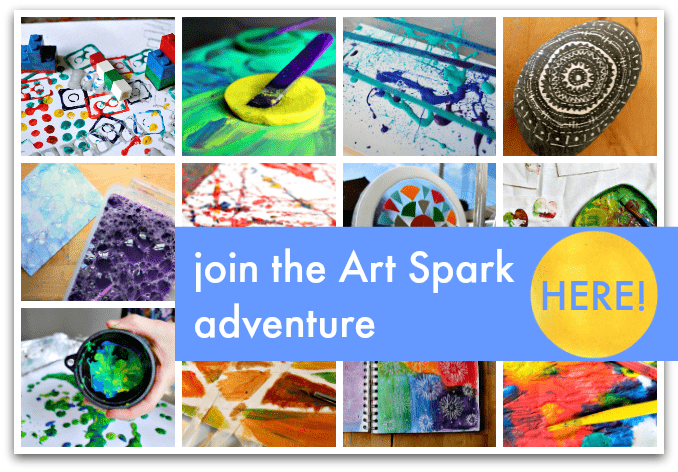 The Art Spark resources bring you 30 art projects that make it easy for you to explore creative techniques with your children. There are lots of ideas that are very easy to set up, so whenever you want to do some art you’re all ready to go. good ideas and very easy to do it, also very low cost. Thank you for sharing.